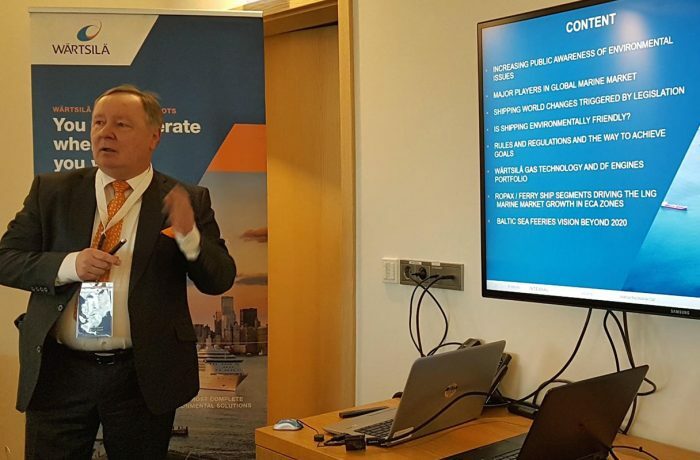 On 19th June Warsaw Institute for Strategic Initiatives (WISI) organised a conference entitled “Polish Shipbuilding Industry – Between Security and Economic Development”. The conference was preceded by reading out by Paweł Szrot – Deputy Director at the Chancellery of the Prime Minister of Poland, the letter delivered by the Prime Minister of the Republic of Poland – Mateusz Morawiecki and the speech given by the Undersecretary of State at the Ministry of Marine Economy and Inland Navigation – Anna Moskwa. Polish Prime Minister underlined that shipbuilding industry has a big chance to become “one of the flywheels of Polish economy”. He also explained how much his government has done for the maritime industry to improve this branch of economy. As Mr. Morawiecki noted …”it might take 10 or even 20 years to gain a strong position on the market, yet this is the right direction which we should follow. It is necessary to break the organisational impotence and the belief that it is not possible – the legacy inherited after years of negligence”. In her speech, Minister Moskwa underlined that the Ministry is actively working on “consolidating shipbuilding industry” in Poland. She also pointed out what are the challenges for the Ministry in the field of maritime industry and informed the audience that the Ministry will soon publish the Maritime Development Found Act. 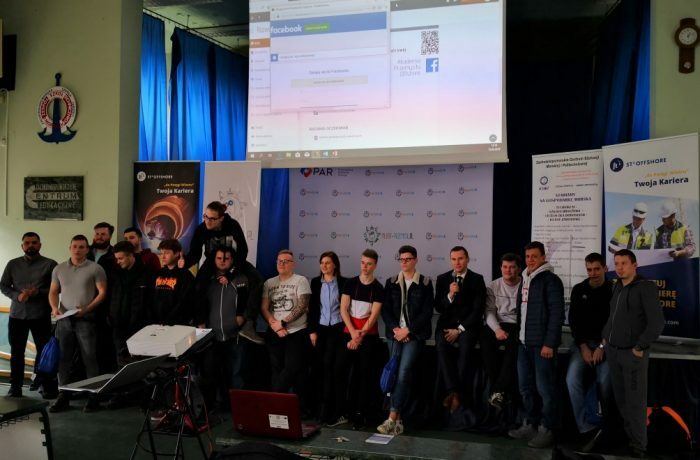 During the conference, Jerzy Krok – expert in the field of financial instruments, showed his presentation entitled “The conception of the financial instrument dedicated to the maritime industry”, in which he explained the issues concerning the creation of the Maritime Development Found. The aim of this found is to improve the maritime infrastructure, increase the number of investment projects and decrease the investment risk by enlarging the number of entities engaged in projects. The conference was divided into two panels. The first panel featuring the Chairman of the Association of the Polish Maritime Industries – Jerzy Czuczman, Chairman of the Board at Stocznia Szczecińska S.A. – Andrzej Strzeboński, Forced Administrator of the Polish Steamship Company – Paweł Brzezicki and Chief Specialist from the Investment and Pension Founds Department at the Polish Financial Supervision Authority – Grzegorz Wąsik, was moderated by the Head of Ship Industry Department at the Ministry of Marine Economy and Inland Navigation – Maciej Styczyński. During the debate, the issues concerning effective governance and market analysis were raised. 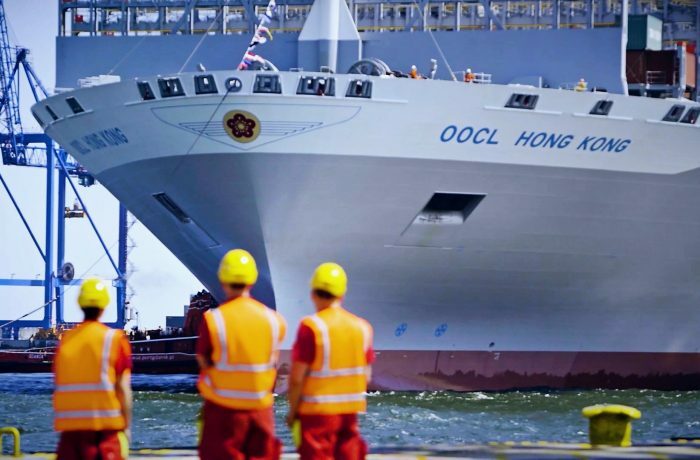 Paweł Brzezicki pointed out that oversupply of the American Dollar created a situation in which European shipyards are not able to be competitive with the Chinese ones. The potential of China can only be reduced by the fall in value of USD. Jerzy Czuczman underlined that the production in Poland is more than three times more expensive than in China and the value of 1 CGT in Poland is at average European level which suggests that Polish shipyard industry is not trying to be competitive in terms of low labour costs. The second panel Innovative Technologies in Shipbuilding was moderated by WISI expert – prof. Stefan Markowski. 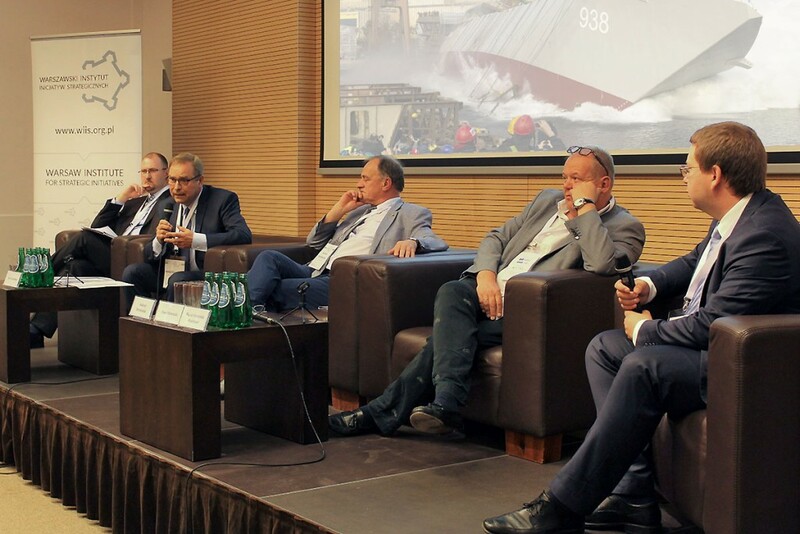 Chairman of Enamor – Maciej Rek, Vice-Director of Maritime Platform Bureau at Polska Grupa Zbrojeniowa (Polish Armaments Group) – Cezary Cierzam and a representative of Naval Group – Janusz Przyklang took part in the discussion. The following panel was proceded by a presentation made by the Deputy Director of OBR CTM S.A. – Rafał Namiotko. During the discussion speakers underlined the importance of innovation based on well organised management. Participation in European military cooperation programmes (such as PESCO) was listed as a good opportunity for Polish maritime industry to rebuild its position on the global market. Furthermore, the panellists also mentioned that due to rapidly changing realities of modern war at the seas, modern technology and proper threat analysis will remain the key factors for success.